Through the ages Cire Trudon candles have been used to illuminate many churches in Paris. 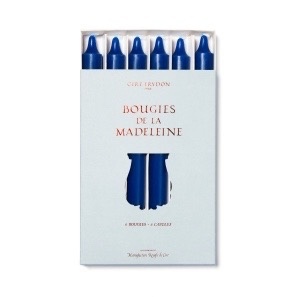 These small pillar candles are named Madeleine, for the beautiful L'Eglise de la Madeleine in Paris. They are made, employing traditional methods, in the Cire Trudon workshop in Normandy. Dyed in small lots, Madeleine candles are created from superior quality wax. They are dripless and smokeless. 0.9'' x 8'' tall - milled base. Handmade in France.